NEGROMANCER 2.0: Richard Armitage and Michelle Forbes Announced for Epix's "Berlin Station"
Richard Armitage and Michelle Forbes Announced for Epix's "Berlin Station"
NEW YORK--(BUSINESS WIRE)--Premium TV network EPIX® announced today that Richard Armitage (The Hobbit: The Battle of the Five Armies, “Hannibal”) has been cast as the lead in Berlin Station, the 10-part contemporary spy series produced by Paramount TV and Anonymous Content. Armitage will portray Daniel Meyer, the cerebral, newly-anointed CIA case officer who goes from being an analyst at Langley to an undercover agent in Berlin tasked with finding an informant. 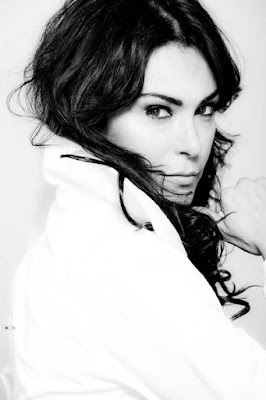 Also joining the ensemble cast is Emmy® Award nominee Michelle Forbes (“The Killing,” “True Blood,” The Hunger Games: Mockingjay – Part 2) in the role of Valerie Edwards, the no-nonsense administrator who serves as a Berlin Station Section Head. Previously announced castings include: Academy Award® nominee Richard Jenkins (The Visitor) as Steven Frost, a veteran of the Cold War who serves as the CIA’s Chief of the Berlin Station; and BAFTA Award-winner Rhys Ifans (The Amazing Spider-Man, Harry Potter and the Deathly Hollows: Part 1, “Elementary,” Notting Hill) as Case Officer Hector DeJean, the darkly charming, tenacious agent who mentors Meyer. Michaël Roskam (Bullhead, The Drop) will executive produce the straight-to-series order and direct the first two episodes. New York Times best-selling spy novelist Olen Steinhauer (The Tourist, All The Old Knives, The Cairo Affair), who wrote the first episode, will write and executive produce the series. Brad Winters (“Dig,” “The Americans,” “Boss,” “Oz") is serving as the showrunner and will executive produce. Other executive producers for the series include Academy Award® winner Eric Roth (Forrest Gump, The Curious Case of Benjamin Button, The Insider, Munich, “House of Cards”), and Steve Golin, Kerry Kohansky-Roberts, Keith Redmon and Luke Rivett from Anonymous Content (“True Detective,” “The Knick,” “Mr. Robot”). "Both Richard and Michelle are enormously talented actors who exhibit an on-screen intensity and passion that viewers respond to because of their intellect and ability to let transformation overcome their characters," said Amy Powell, President, Paramount TV. "We are honored to have them join this stellar cast and that they will be taking on these intricate roles." Production on the series is scheduled to begin this Fall and premiere on EPIX in Fall 2016. Berlin Station follows Daniel Meyer, who has just arrived at the CIA foreign station in Berlin, Germany. Meyer has a clandestine mission: to uncover the source of a leak who has supplied information to a now-famous whistleblower named “Thomas Shaw." Guided by jaded veteran Hector DeJean, Daniel learns to contend with the rough-and-tumble world of the field agent—agent-running, deception, the dangers and moral compromises. As he dives deeper into the German capital's hall of mirrors and uncovers the threads of a conspiracy that leads back to Washington, Daniel wonders: Can anyone ever be the same after a posting to Berlin? Richard Armitage boasts a diverse resume in film, television and the stage, gaining momentum on UK shows including “MI-5”’ and “Robin Hood.” He achieved international recognition with his performance in the 2011 box office smash ‘Captain America: The First Avenger opposite Chris Evans and Hugo Weaving before following it up with his iconic performance as ‘Thorin’ in Peter Jackson’s The Hobbit trilogy, which has grossed over $1 billion to date. Armitage’s other recent leading roles include John Swetnam’s Into the Storm for New Line, alongside Sarah Wayne Callie and Jeremy Sumpter, as well as Elliot Lester’s independent feature, Sleepwalker, opposite Ahna O’Reilly. This spring, Richard was seen in a recurring role on NBC’s “Hannibal” and just wrapped shooting in Ireland and Belgium for Pilgrimage opposite Tom Holland. Armitage also returned to the stage this year, delivering a critically acclaimed performance as the lead of Arthur Miller’s modern drama, The Crucible, at the Old Vic Theatre. Armitage is represented by WME, the law firm Sloane, Offer, Webber and Dern, LLP and Management 360. Michelle Forbes’ recent portrayal of a grief-stricken mother in the AMC series “The Killing” earned her an Emmy® nomination for Best Supporting Actress in a Drama Series. Prior to that, Forbes starred in the groundbreaking Alan Ball series “True Blood” for HBO. Additionally, she starred as Kate Weston in the HBO series “In Treatment,” opposite Gabriel Byrne and Dianne Wiest. Forbes can next be seen in The Hunger Games: Mockingjay – Part 2 for Lionsgate and just completed a one-season role in the A&E drama series “The Returned” (based on the hugely popular French series “Les Revenants”) from executive producers Carlton Cuse and Raelle Tucker. Forbes also recurs in the acclaimed BBC series “Orphan Black” opposite Tatiana Maslany. Forbes is represented by UTA. EPIX® is a premium movie and original programming entertainment service delivering the latest movie releases, classic film franchises, original documentaries, comedy and music events on TV, on demand, online and on devices. Launched in October 2009, EPIX has pioneered the development and proliferation of “TV Everywhere.” It was the first premium network to provide multi-platform access online at EPIX.com and was the first premium network to launch on XBox 360, PlayStation® 3 and 4, Android phones and tablets, Windows 8.1 and Roku® players. EPIX is available to authenticated subscribers on hundreds of devices including Chromecast and Apple® iPads® and iPhones® and is the only premium service providing all its programming on all platforms, delivering more movies than any other premium network, with thousands of titles available for streaming. EPIX is a joint venture between Viacom Inc. (NASDAQ:VIA and VIA.B), its Paramount Pictures unit, Lionsgate (NYSE:LGF) and Metro-Goldwyn-Mayer Studios Inc. (MGM). Through relationships with cable, satellite and telco partners, EPIX is available to over 50 million homes nationwide. For more information about EPIX, go to www.EPIX.com. Follow EPIX on Twitter and Periscope @EpixHD (http://www.twitter.com/EpixHD) and on Facebook (http://www.facebook.com/EPIX), YouTube (http://youtube.com/EPIX), Instagram (http://instagram.com/EPIX), Google+ (http://plus.google.com/+EPIX), Pinterest (http://pinterest.com/EPIX) and Vine (https://vine.co/EPIX). Paramount Television develops and finances a wide range of creative television programming across all media platforms. Paramount Television is part of Paramount Pictures Corporation (PPC), a global producer and distributor of filmed entertainment. PPC is a subsidiary of Viacom (NASDAQ:VIAB, VIA), a global content company with premier television, film and digital entertainment brands. 1990s Nickelodeon Returns on "The Splat"
Dinah Baergas is Naruto's "Hokage for a Day"
VIZ Media Launches Kyousuke Motomi's "QQ Sweeper"
Titan Comics Announces Garth Ennis' "Johnny Red"